Come by Booth #114 at the AWS Atlanta Summit! 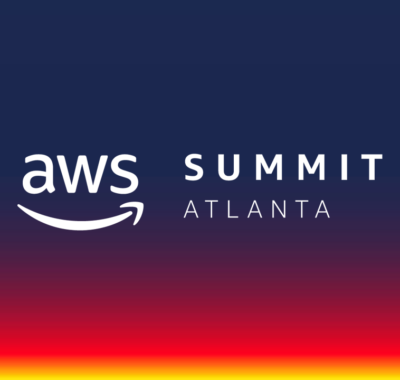 dbSeer is looking forward to attending the AWS Atlanta Summit on May 2nd! Stop by Booth #114 in the Expo to chat with one of our team members about all things AWS. We’ll have lots of dbSeer swag and a raffle – drop your business card for a chance to win an Amazon Echo! dbSeer is a trusted AWS Advanced Consulting Partner. We’d love to talk with you about our specialties – AWS Database Migration, Amazon EC2 for Microsoft Windows, AWS Database and Data Warehouse Design, Amazon Redshift Service Delivery, and AWS Big Data Analytics. Come tell us your pain points and we’ll tell you how we can help alleviate them! The Summit is being held at the Georgia World Conference Center from 7:00am-6:30pm. You can register here. It’ll be great to see some of you in May! 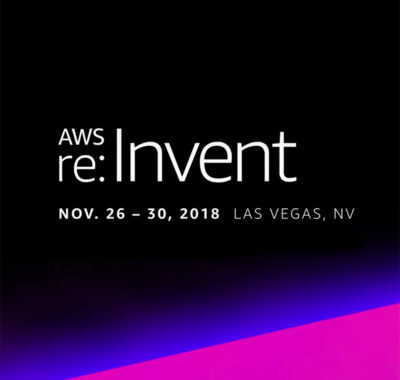 dbSeer team members attended AWS re:Invent in Las Vegas to keep up to date with the latest AWS cloud innovations along with other emerging technologies. These technologies will play a big role in helping our customers achieve their desired business outcomes, so we wanted to be on the front lines. AWS did not disappoint. One of the keynote speakers, CEO Andy Jassy, expressed that AWS will focus on improving the lives of builders. Dr. Werner Vogels emphasized that the large majority of AWS features and services are a direct result of customer feedback (around 95%!). The majority of AWS’s announcements centered around advancements in databases, security and compliance, analytics, and machine learning. dbSeer is an AWS Advanced Consulting Partner that can help you start, develop, or optimize your AWS cloud journey. Learn more about our work with Amazon EC2 for Microsoft Windows, Amazon Redshift, and Amazon RDS for PostgreSQL. As always, feel free to contact us with any questions! dbSeer is excited to announce that we have been accepted into the Service Delivery Program for Amazon EC2 for Microsoft Windows Service! Check out dbSeer’s new page dedicated to this service here. The AWS Service Delivery Program highlights APN Consulting Partners with a track record of delivering specific AWS services to customers. Attaining an AWS Service Delivery Designation allows APN Partners, like dbSeer, to differentiate themselves by showcasing service-level expertise to AWS customers. 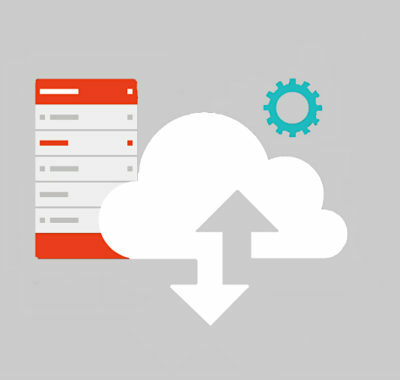 Amazon EC2 for Microsoft Windows Server Partners deliver services for Amazon EC2, managing secure, reliable, and high-performance environments for deploying Windows-based applications and workloads. To be accepted, dbSeer had to provide customer references (Subject7 and Telarix) as well as pass a rigorous screening by AWS specialists. Visit dbSeer at the AWS Anaheim Summit, Booth #101! 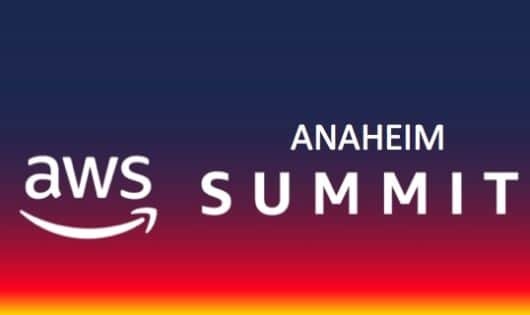 dbSeer is excited to attend the AWS Anaheim Summit on Thursday, August 23rd! Stop by Booth #101 to speak with a member of our team. The Summit, located at the Anaheim Convention Center, is free to attend and runs from 7am to 7pm. You can register here. Come by to see how dbSeer can help you make the most of your AWS investment or migrate your data platform to the AWS cloud. You can also just stop by to get some dbSeer swag and chat with our awesome team. To make things interesting, we will be having a raffle with a chance to win an iPad, Amazon Echo, and a Drone! Long story short: if you’re not there, you’re missing out. Also, check out our new White Paper describing a database migration project we recently completed with Subject7. Trust me, you’ll be glad you did. dbSeer is excited to attend the 2018 AWS Summit in New York City. The summit will take place on Tuesday, July 17th, 2018 at the Javits Center. AWS Summits are free events that bring the cloud computing community together to connect, collaborate, and learn about AWS. Around 10,000 people are expected to attend this summit, making it one of the largest AWS Global Summits this year and one that you definitely cannot miss! Stop by Booth #223 to see how dbSeer’s certified AWS architects can help you with your cloud journey. Chat it up with us about our favorite topics and specialties: AWS Database Migration, AWS Database and Data Warehouse Design, Elastic Data Processing Framework, and AWS Big Data Analytics. We want to hear you vent about your company’s pain points and tell you how we can fix them! Three of our staff members will be available to speak with you, including our Partner and Co-Founder. If you can’t make it but still want to be involved, you can register to watch the Keynote Live Stream featuring Dr. Werner Vogels and Dr. Matt Wood. Can’t wait to see all of you next week! dbSeer is proud to attend the 2018 Logi Conference. We have partnered with Logi to have two of our own staff members available for you at the Ninja Bar. The Logi Conference for 2018 takes place May 8th and 9th, 2018 at the Ronald Reagan Building in the heart of Washington, D.C.. This year’s conference does not have a booth structure, so our dbSeer representatives have partnered with Logi to be on hand at the Ninja Bar. Come up to the Ninja bar to learn more about enhancing your Logi experience–including trouble shooting questions you may have. Chat it up with our team on anything analytics and data visualization. We can also showcase examples of our solution in action throughout the conference. 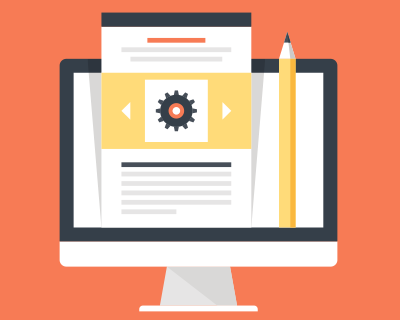 See how you can derive maximum value from LogiAnalytics’ platform through our integration. See you at the Ninja Bar–or Sumo wrestling ring–on the 8th and 9th of May. For some lighter reading on data analytics and storytelling, read this recent post by our team, Thoughts on BI and Analytics as Storytelling. dbSeer is a new breed of business analytics consulting firm, dedicated to helping our customers take full advantage of their data by transforming it into actionable insight. We leverage the power of advanced visualizations. Rich data visualizations expose patterns and trends in your data, enabling stakeholders to more readily understand and recognize events to take appropriate actions. We have extensive experience and deep knowledge of premier reporting and analytics software packages. We know their suitability for different use cases. One of the commercial and open source technologies we most frequently use is Logi Analytics. 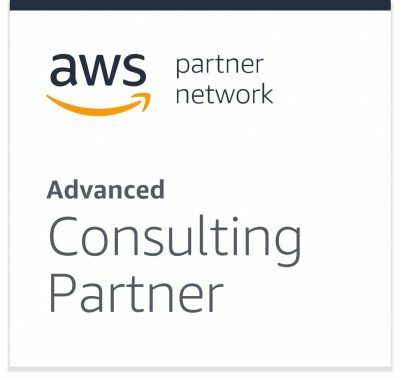 McLean, Va. April 25, 2018 – dbSeer, an expert business analytics consulting company, announced that it has achieved Advanced Consulting Partner status in the Amazon Web Services (AWS) Partner Network (APN). As an AWS Advanced Partner, dbSeer’s AWS Certified professionals will help clients with AWS database migration and data warehouse design, as well as building big data analytics applications. This is in addition to dbSeer’s existing services of data engineering, analytics applications, and data architecture. “Earning Advanced Consulting Partner Status in less than a year after becoming a Standard Partner is a major achievement. It demonstrates both our commitment to the AWS Platform as well as our dedication to exceptional customer service,” said Mahyar Ghasemali, Partner and Founder of dbSeer. To achieve Advanced Status, partners must grow their AWS business and have customer references, in addition to earning multiple accreditations and certifications. Over one million AWS users worldwide currently benefit from the elasticity, security, and reduced costs that come with the move to the cloud. When moving to AWS, clients have a plethora of choices, including multiple instance types, operating systems, and software packages. As an AWS Advanced Consulting Partner, dbSeer will work to understand client’s unique objectives and the priorities of their migration in order to help optimize their cloud adoption progress. Founded in 2013, dbSeer is a new breed of business analytics consulting firm, leveraging expertise in a variety of data and analytics technologies and employing a proven analytics framework to help clients solve their unique analytics, data architecture, and data engineering challenges. dbSeer promotes an agile approach and project methodology that simplifies each project into a series of short, ROI-justified steps aimed at incrementally reaching the right solution. As a strategic partner to clients, dbSeer matches best-of-breed analytics technologies to client needs, working with them to plan, design, and deploy solutions that obtain the best results, transforming data into actionable insight, and ultimately improving their business. Learn more at dbSeer.com and join the conversation @dbSeerAnalytics. McLean, Va. September 7, 2017 – dbSeer, an expert business analytics consulting company, announced that it has achieved Standard Consulting Partner status in the Amazon Web Services (AWS) Partner Network (APN). As an AWS Standard Consulting Partner, dbSeer’s AWS Certified professionals will help clients with AWS database migration and data warehouse design, as well as building big data analytics applications. This is in addition to dbSeer’s existing services of data engineering, analytics applications, and data architecture. “This expansion of our service offerings builds upon the successes of the past four years. Our entire team looks forward to helping new and existing clients leverage AWS technology in growing their business, while achieving improved insight and efficiency,” said Mahyar Ghasemali, Partner and Founder of dbSeer. Over one million AWS users worldwide currently benefit from the elasticity, security, and reduced costs that come with the move to the cloud. When moving to AWS, clients have a plethora of choices, including multiple instance types, operating systems, and software packages. As an AWS Consulting Partner, dbSeer will work to understand client’s unique objectives and the priorities of their migration in order to help optimize their cloud adoption progress. 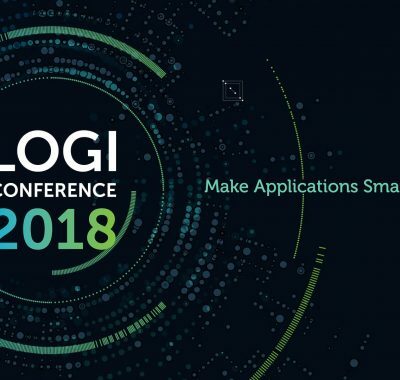 Leading developers from many of the 1,700 companies using LogiAnalytics to power their applications are coming together for the Logi16 User Conference in Washington, DC next week. dbSeer is a Silver Sponsor of the event designed to offer users an opportunity to explore innovation and derive maximum value from LogiAnalytics. dbSeer will present a session in the Style Track, which focuses on brand styling and modern visualizations with impact. The presentation entitled, “A Framework for Maturing Your Analytics Platform,” will illustrate how to address users’ demand for new capabilities through levels of analytics maturity. In addition, dbSeer will be showcasing examples of solutions in action at an exhibit available throughout the two-day conference. 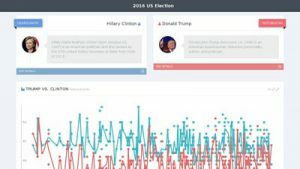 As the US 2016 presidential election season heats up, the company just launched an application that combines data from thousands of polls and over 40 pollsters to present comparisons of the two major party’s candidates at: www.electioninsight.org. 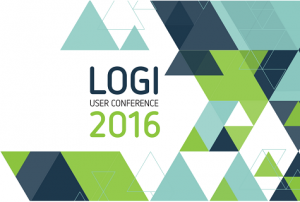 The Logi16 User Conference will take place on October 12-13 at the Ronald Reagan Building and International Trade Center in Washington, DC. 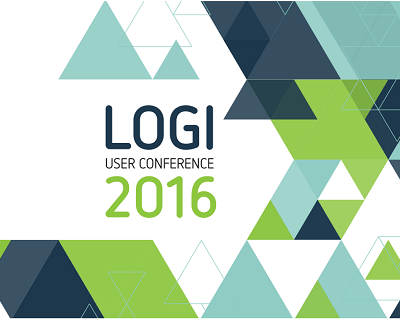 For more information, visit: www.logianalytics.com/user-conference-2016. Now that we’ve made it past the first presidential debate, check out the dbSeer free election information site, www.ElectionInsight.org, to see how the two major candidates rate. In easy-to-view charts and graphs, you can see detailed political data for each candidate and how they compare. You can click to view details about data points in the reports. You can drill-down to view details about each candidate, such as top donor information and a breakdown of money raised, the latest social media stats, as well as the latest polling trends across tens of thousands of polls from over 40 pollsters.